A website that has a good design can serve its sole purpose when its language is strong enough to attract attention, engage people and involve them in business. For this, the text is the primary player. Even in some cases, the development of the business websites starts with content. The approach used in such cases is “Content First Design” in which the designers first research the purpose and then develop content to achieve this goal. Also, design purpose always does not contain text. Sometimes, text with images, videos, audio, or other graphic elements comes under “Content Design.” Ideally, a website that has text developed before the graphical design will work best. 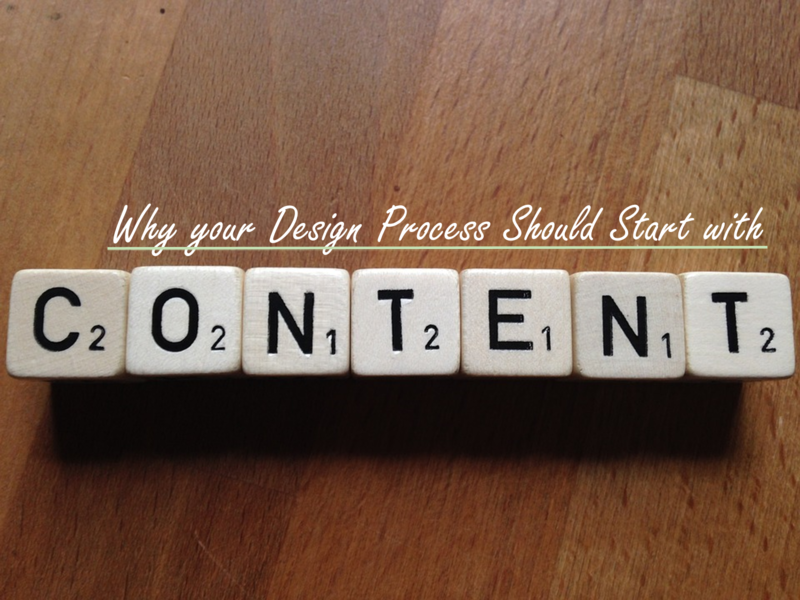 It is also said that content development should take place before design. A plan that does not have an active content is merely decoration and will not generate a good return on investment. It builds a sensible information architecture. It is easier to design your sitemap and make a logical hierarchy when you have a well-organized content. Maintains Consistency: When you are well aware of the structure and purpose of your content, your website is consistent. If you already know the sections of your site, its text and business projection, it becomes easy to maintain consistency of the website. Avoids rounds of Iteration: When design kicks off before content development, it goes under multiple rounds of iteration. The website also moves between the different teams making changes as per the text. It is, therefore, better to develop and design text way before the development process starts. A concept, therefore, makes the website worthwhile. Apart from a pre-design, you also need to make the design more flexible and easy to navigate through. Using a help text can even make things easy to understand and work through. Content that works perfectly in sync with the website design is something that can boost your business reach. ⟵Who is More Powerful on the Programming Battlefield: Python or PHP?